Anyone who has been with me over a sustained period of time knows that I am a lover of the color green. The color of my clothes gives my attraction away. But it’s not just clothes. My favorite season is summer with spring running a close second. For Hildegard, greening power had to do with creativity and the ability to bear fruit that lasts. Greening power is connected to moistness, freshness, germination, growth, expansion, and the force of life itself. You can imagine my delight when a recent photographic adventure took me to the southeastern corner of the state of Washington and the southwestern corner of Idaho. Named “The Palouse” for the Indian tribe that inhabited the land, The Palouse is known for its rolling hills of wheat, lentil beans, peas, and canola. 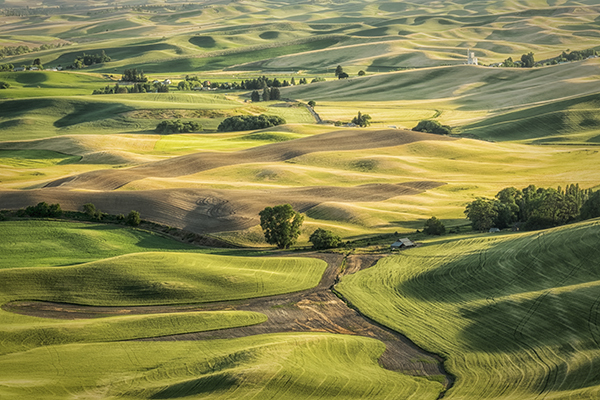 In the summer time, The Palouse is primarily green. However, other colors also dot the countryside. The gold of ripened wheat, the brown of fields lying fallow, and the yellow of blooming canola as well as the varied topology of the area and the play of light and shadow add accenting tones and colors. The Palouse filled me to overflowing with “viriditas, or greening power. As a result, my heart sings. 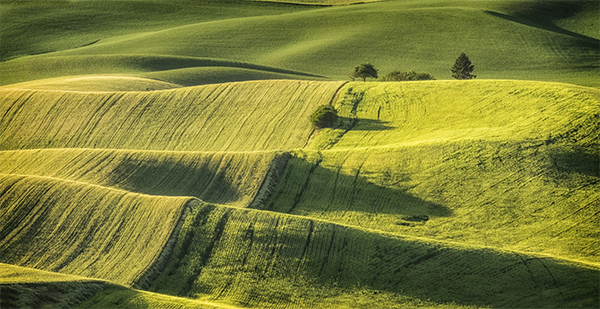 I trust these images from The Palouse will invite you into the greening power within you. This entry was posted in Sharon Brown Christopher and tagged abstract, F4 Studio, Fine Art Photography, Nashville Photography, Nashville TN, SABCPhotography, Sharon Brown Christopher, Tennessee, The Palouse, Washington on July 11, 2015 by sabchristopher. When were you in the Palouse area? The green has a rhythm, a flow, the land has become liquid in its creative exuberance. 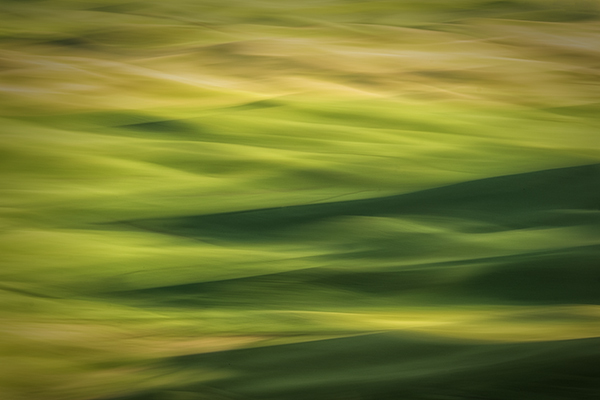 I am very moved by the undulating tones of green/yellow. The sense of continual change yet in harmony, not abrasion of borders being overtaken. They made my body sway with a sense of retaining my individuality yet being changed by the surrounding Oneness of Being. Really enjoyed these.